St Francis Xavier’s (SFX) is a Catholic Parish Primary School in the eastern suburbs of Melbourne. It is situated within the municipality of the City of Whitehorse, which is known for its tree-lined streets and abundance of bushland reserves. The municipality is located just 15 kilometres from the centre of Melbourne, or 20 minutes along the Eastern Freeway. The school offers a comprehensive range of academic programs and extra curricular activities, as well as an Arts Program and a Physical Education Program. The outstanding aspect of the school is its community spirit - there is a culture of care for each other in the community. Parents are involved in the school by way of the School Education Board, the Classroom Helpers Program and the Parents and Friends Association. Each child is valued and cared for by a dedicated staff and by all members of the community. Education is a gift that lasts a lifetime. Kingswood College is a learning community large enough to offer students choice and opportunity, and small enough to know and care for each individual. We inspire Junior School students to be literate, numerate, articulate, curious and collaborative. In Middle School, we win the hearts and minds of our students so they can discover their passion and follow their dreams. In Senior School, students develop a focussed and independent approach to learning so they can realise their personal best. We educate the mind, body, heart and spirit in a community setting, working in partnership with families. We are preparing students to “Know themselves… Be themselves” and to live purposefully in the community. The College is divided into three sections: Junior School (ELC – Year 6), Middle School (Years 7-10) and Senior School (Years 11-12). Kingswood: big enough for choice and opportunity; small enough to know and care. 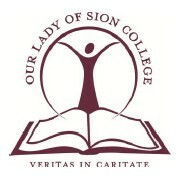 Our Lady of Sion College is a Catholic Secondary College for girls, with an approximate enrolment of 750 students from years 7 to 12. The College is incorporated under the Australian Companies Act and is managed by a board of 12 members. Our Lady of Sion College is a Catholic College where young women are encouraged to live in fidelity to the Word of God known in the Scriptures and the life of Jesus. These young women inherit the tradition of the Church and the Sisters of Our Lady of Sion, which calls them to actively seek to transform the world. 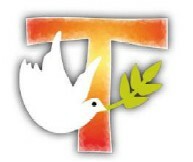 We aspire to be a community that seeks truth through learning, in a culture and community of caring relationships. A community where each student is valued and nurtured, encouraged and supported to become the young woman God created her to be. This College has a long and proud history of educating young women in the Box Hill and surrounding areas. The College is conducted in the traditions of the Sisters of Our Lady of Sion: the Biblical values of compassion, justice, reconciliation, peace and love are the central guiding principles for all that we do. There are many opportunities and invitations extended to our students to walk a variety of pathways that will enable them to experience the unfamiliar, to be challenged to achieve their absolute best in their interests and talents, and to grow as individuals and as community. Our pathways include academic programs of excellence, liturgical celebrations, retreats and reflection days, sports, and many other daily activities of the College. 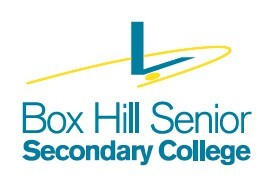 Box Hill Senior Secondary College - a truly dynamic, vibrant and welcoming school in the heart of Melbourne's eastern suburbs. About 750 students attend the school with 160 students in a three-year program commencing at Year 10 and the remainder in Years 11 and 12. Students come from all parts of Melbourne and a number have moved from interstate.